SAW032177 SCOTLAND (1950). 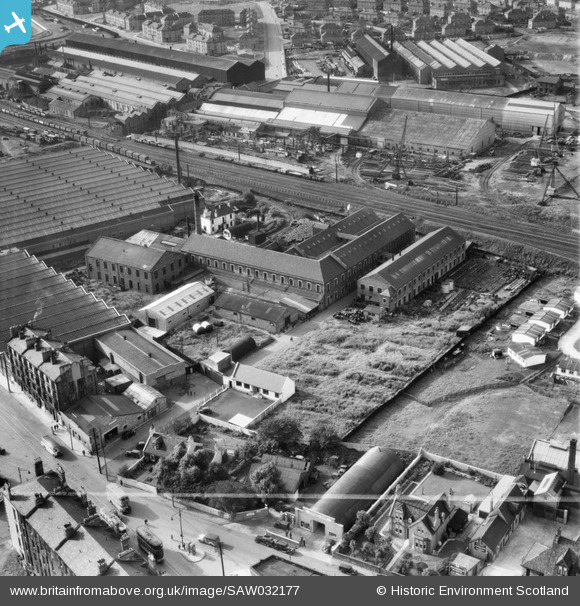 British Dyewood Co. Ltd. Carntyne Dyewood Mills, Shettleston Road and Parkhead Crane Works, Rigby Street, Glasgow. An oblique aerial photograph taken facing north-west. This image has been produced from a crop marked negative. Pennawd [SAW032177] British Dyewood Co. Ltd. Carntyne Dyewood Mills, Shettleston Road and Parkhead Crane Works, Rigby Street, Glasgow. An oblique aerial photograph taken facing north-west. This image has been produced from a crop marked negative. 1936 Ford Woodie Station Wagon...very rare. my dad kenney milne (leaning on wall ) !